Interested in a good cause? Many of you may know that besides being a ham, I’m also an avid shortwave radio enthusiast and I run a radio based charity. 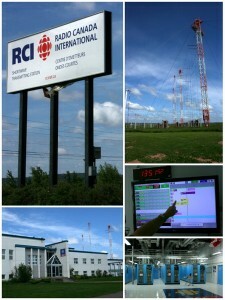 At the moment, we’re working hard to stop the Radio Canada International Sackville, New Brunswick, shortwave transmission site from being completely dismantled and taken off the air. I’ve been communicating with the Canadian press and the Departments of Heritage and Public Safety. It’s difficult–if not impossible–to stop a political process that has already been initiated, but some of us are making an attempt nonetheless because this transmission site is so vital. So I started a petition–it’s only been two days, but we have already received over 200 signatures from around the globe. Clearly, we’re not the only ones who believe that sacking Sackville is a foolhardy plan, and want Canadian powers-that-be to reconsider. Could you please take a few moments out of your day to sign this petition and have your say? It takes less than a minute. This will automatically email the appropriate Canadian politicians who could, at the very least, put a halt to the destruction of the RCI Sackville site. Also, please consider sharing this with your QRP and ham radio networks, clubs, and email groups. The more voices, the more signature, the better! Of course, you don’t have to be Canadian to sign (after all, I’m not), just someone who cares about radio and believes in its role in domestic security and international relations. If you are Canadian, consider writing a letter to Canada’s Heritage Minister, the Hon. James Moore (james.moore@parl.gc.ca), and your Minister of Public Safety, the Hon. Vic Toews, to let them know this requires immediate attention. Feeling like Don Quixote today? Join me. Towers up, windmills down! This entry was posted in Announcements and tagged Petition, Radio Canada International, RCI. Bookmark the permalink.